TemplateMonster’s impressive collection has benefited our business considerably. Will it transform yours? Each company wants to develop and grow in such a way that it becomes possible to invest all possible creative ideas in marvelous works that allow customers to meet their goals. For our web studio, that became possible together with a responsible and experienced partner in the form of TemplateMonster. Thanks to their amazing team, we have access to their ready-made templates that impress our clients with their design and functionality. So we not only found a trusted partner, we also improved our services with the help of professional, easily customizable website templates. TemplateMonster offers an inspiring number of digital products on their marketplace. Their special deals, sales, and offers are worthy of special attention because they allow you to save a lot of money and to buy high-quality products for any business project. Our web studio prefers working with HTML5—it has become more popular and allows us to bring the most positive results for our customers. 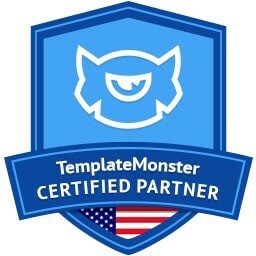 TemplateMonster has a great number of HTML5 templates available so we can provide our customers with a wide choice of solutions for their businesses. Intense—Multipurpose Innovative HTML5 Template—comes from an enormous collection of eye-catching ready-made solutions. It includes 500+ HTML files, 25+ niche templates, 15+ header and footer variations, and other stunning elements that will allow you to play around with the design of your future online project. In addition to this, you will get top-notch social integration, various hover effects, sticky menus, and powerful navigation. Those people who need to promote their interior design studio on the Internet will be impressed with iD Interior—Interior Design HTML5 Template—a theme that includes all essential features you can ever need. A great number of pre-made HTML pages, multiple header and footer variations, and 6 blog styles will make it possible to present all possible aspects of your business. Furthermore, a full-fledged live search will allow users to find the needed information within seconds. It will take nothing for InvestPlus—Investment Company HTML5 Template—to make your business look trustworthy and reliable on the Internet. It includes a wide range of ready-made HTML pages, diverse gallery types (grid, masonry, or cobbles), and integration of Google Maps and Fonts that will certainly enrich your website. TemplateMonster not only sells website templates, it also makes many educational projects for web developers. Browse through their blog to benefit from their incredibly vast knowledge base. We are happy to be partners with this website templates provider that plays a significant role in our work.